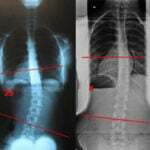 Adults with scoliosis also tend to have more symptoms than adolescents. Degeneration of the spine’s discs and joints, often caused by bone loss, narrows nerve openings and leads to back pain, fatigue, and loss of function. Most physicians — insisting adult scoliosis can’t be corrected — focus on managing pain through medications, injections, or radical procedures such as severing the nerve roots. But they are mistaken; scoliosis can be improved. In fact, researchers have found that when doctors focus on treating the underlying cause of scoliosis symptoms, adult patients experience less pain and improve their ability to function. This groundbreaking study has given hope to thousands of adults with scoliosis who struggle daily with pain and other symptoms. Most people think of scoliosis as a condition that affects only adolescents — not something adults struggle with. But every child with scoliosis eventually becomes an adult, and the belief that curves don’t progress during adulthood is a myth. Adolescent curves over 50 degrees are likely to continue growing and can advance by up to 2 degrees per year. Over several decades, it can add up to significant progression. It is also a myth that adults don’t develop scoliosis. As the joints degenerate and bone density wanes with age, de novo (new) scoliosis can set in. 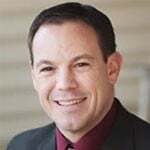 It is a common condition among older adults, 68 percent of whom show signs of it. That is more than twice as many as the medical community previously thought. Idiopathic scoliosis, the cause of which is unknown, typically peaks while the spine is still maturing. Progression becomes milder once the patient reaches adulthood, but the symptoms often become more severe as the curves slowly advance over the years. As the spine’s natural curve is lost, adults may lean forward to relieve pressure on the nerves, causing the hips and knees to bend in order to remain upright. When scoliosis develops during adulthood, it is often the result of diminished bone density and muscle strength. In women who are post-menopausal, for example, degenerative scoliosis is often associated with the same hormonal changes that give rise to osteoporosis. As the discs in the spine break down and arthritis sets in, the space between discs collapses and can cause back and leg pain. Exercise. Weight-bearing postural activities, combined with balancing and isometric exercises, can help reverse adult scoliosis regardless of its origins. 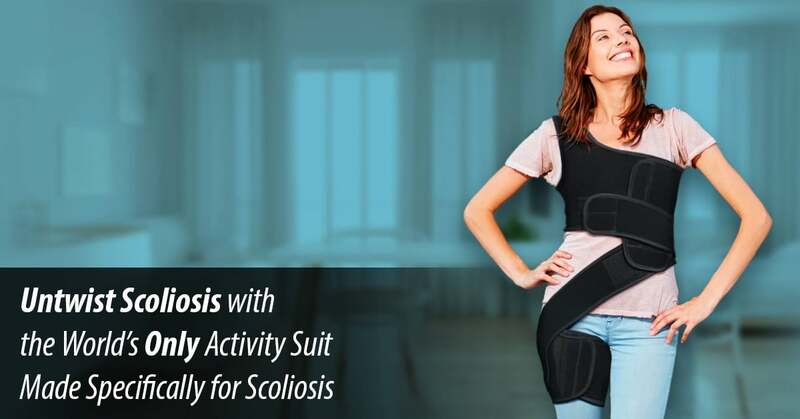 Using the ScoliSMART Activity Suit, adult patients can perform Automatic Response Training exercises to help retrain the brain to naturally correct the postural imbalance that causes scoliosis curve progression. Whole body vibration therapy. 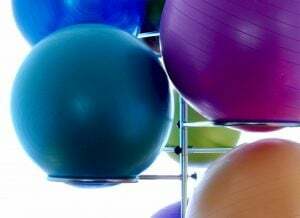 For patients in too much pain to exercise, whole body vibration therapy can help combat the effects of degenerative scoliosis by improving bone density and strengthening back muscles. Nutritional supplements. Maintaining healthy magnesium, manganese, boron, vitamin C, phosphorus, and B-vitamin levels is vital for supporting the treatment of adult scoliosis. Dietary supplements can also help rebuild lost bone matrix and relieve scoliosis pain. 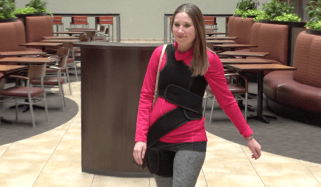 The ScoliSMART Activity Suit is a non-invasive treatment option for adult scoliosis that doesn’t just relieve symptoms – it corrects the underlying problem of spinal curvature by improving communication between the brain and muscles surrounding the spine, naturally correcting postural imbalances. With the right combination of therapies, adults with scoliosis can achieve gradual pain reduction, improved function, and even potential curve reduction. Contact ScoliSMART to see how we can help. This entry was posted in Scoliosis in Adults. Bookmark the permalink.